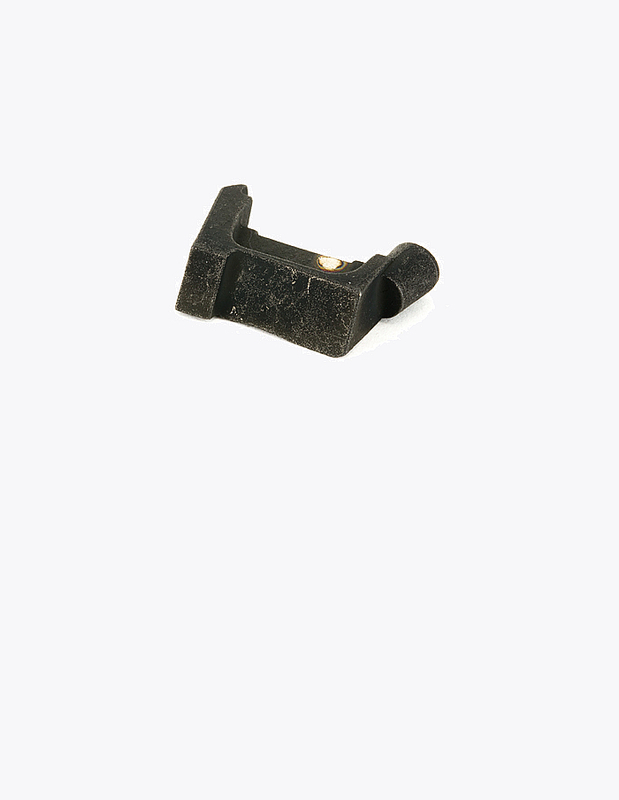 Zev Technologies is well known to produce some of the premiere aftermarket accessories for the Glock line of pistols. 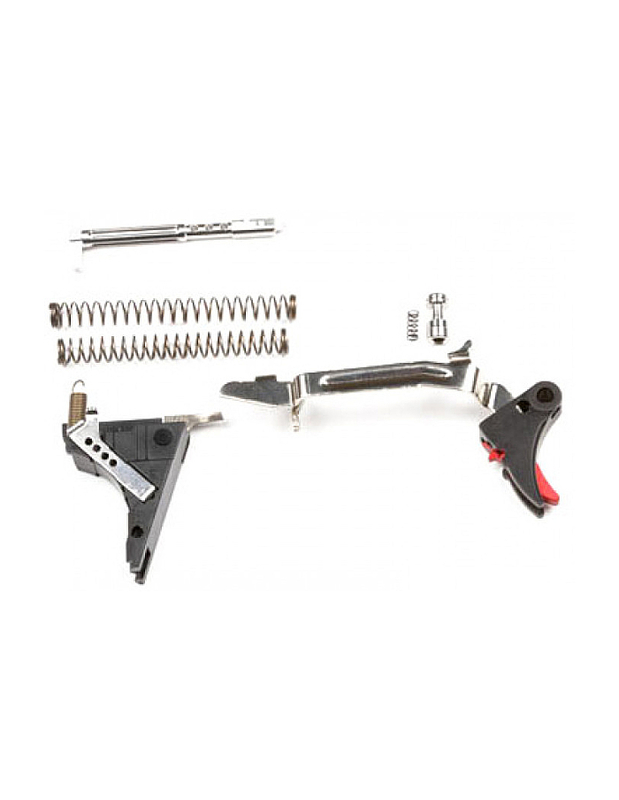 This particular trigger kit is their top of the line adjustable trigger kit for Glocks. The Ultimate trigger kit comes partially preassembled for quick and easy installation. After installation your trigger will have a completely different feel with a much more refined and crisp trigger pull. This trigger kit is designed to be installed on Generation 4, 9mm Glock Pistols. This includes the Gen 4 Glock 17, 19, 26, and 34. The Zev Ultimate Trigger kit improves several aspects of the Glock’s trigger pull. After installation, one of the first features you will notice is the difference in the trigger face. 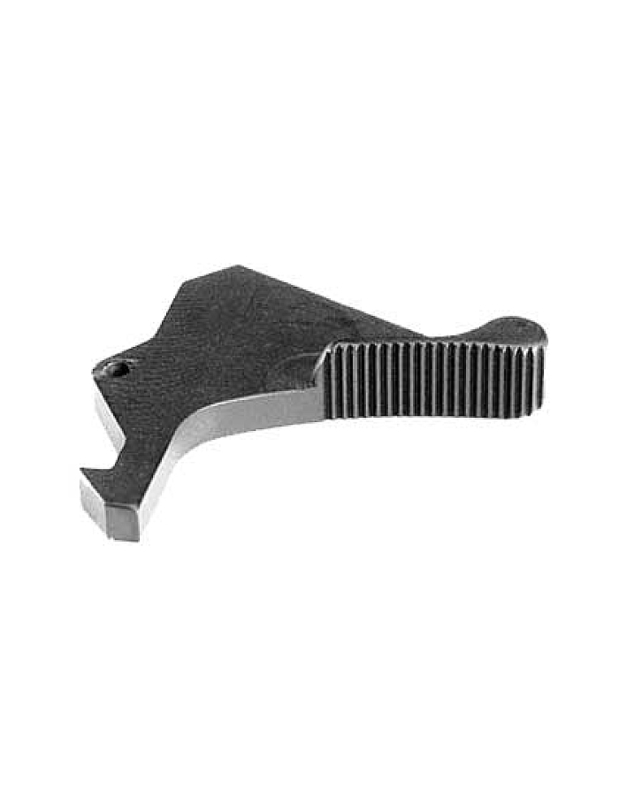 The Zev Trigger shoe is more flat than a standard Glock trigger. 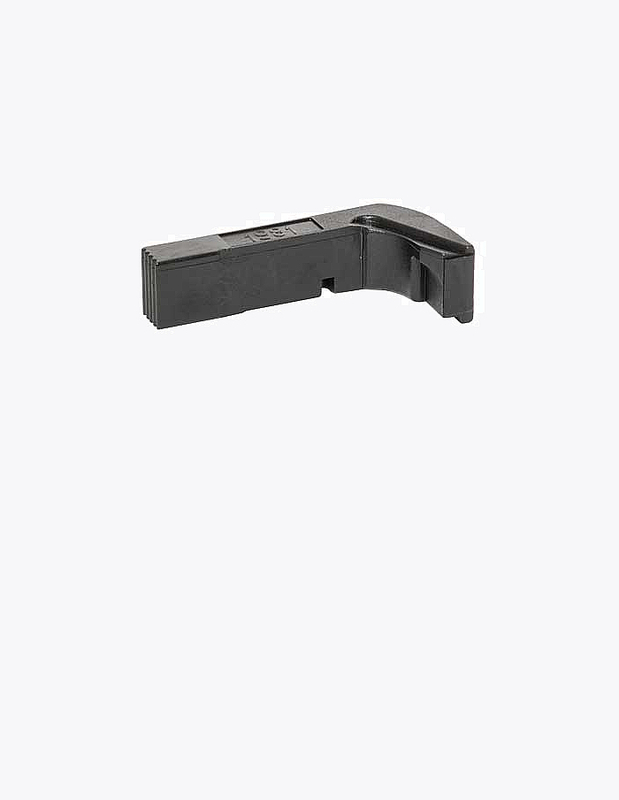 Additionally, the integrated trigger safety bar is three times wider than standard. Zev has included a proprietary trigger bar in this package. 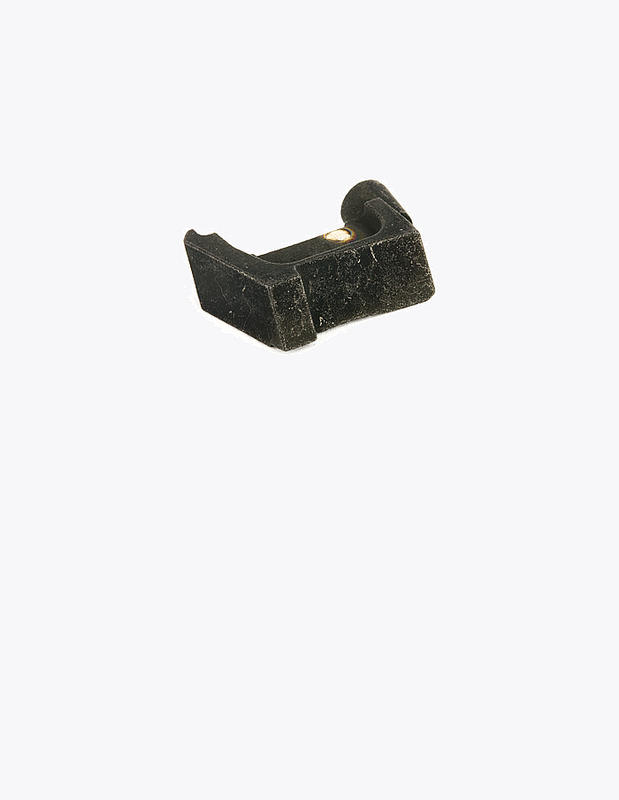 This trigger bar helps to ensure a smooth and consistent trigger pull throughout the entire range of motion. Another area of focus that the developers paid attention to when designing this trigger was the reset. The trigger reset in the Zev Ultimate Trigger Kit has a very crisp tactile feel. This can allow the shooter to ride the reset and institute a flip & press or command reset trigger technique with ease. Trigger weight can be adjusted to as low as 3 pounds in this trigger. Some users find that a lower trigger pull weight can lead to great practical accuracy. The total length of travel is adjustable. Both the pre-travel, as well as the over-travel can be adjusted to your personal preference. 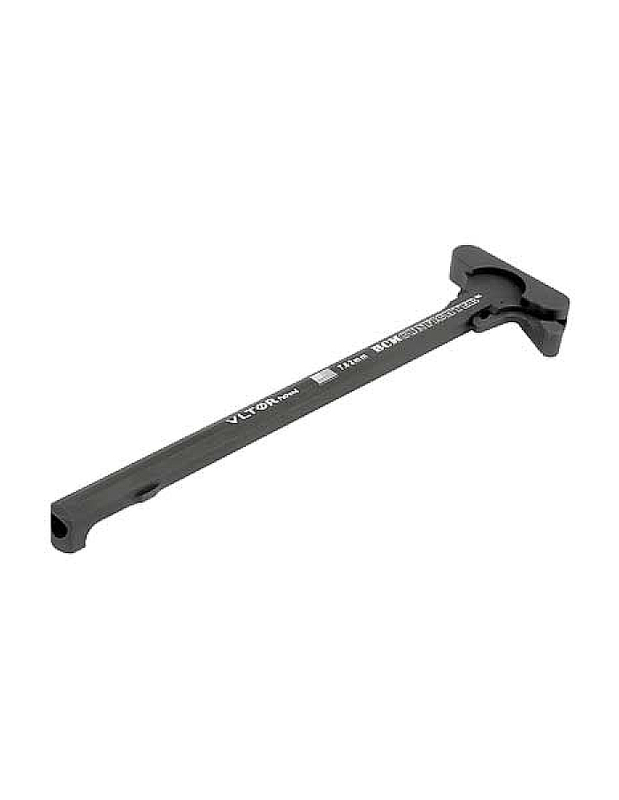 This can allow for a shorter trigger take-up or less trigger slack. Also, with less over-travel, you will be able to have a faster trigger reset.